I’d like to officially introduce you to our newest foster cat Lion. 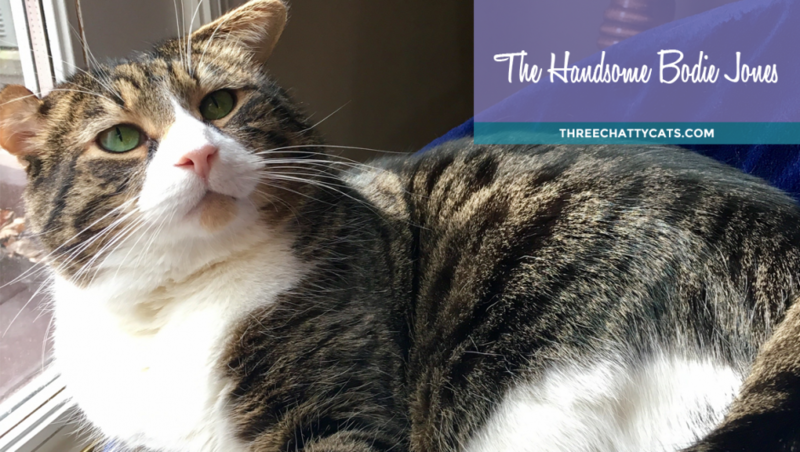 This four-year-old handsome fella may look a tiny bit familiar to regular blog readers. 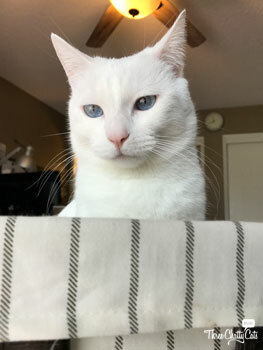 Some cat named Dexter isn’t too sure about the new guy and his tabby face. It’s okay, Dexter, there’s plenty of love to go around! New foster cat Lion! A Dexter look-a-like. 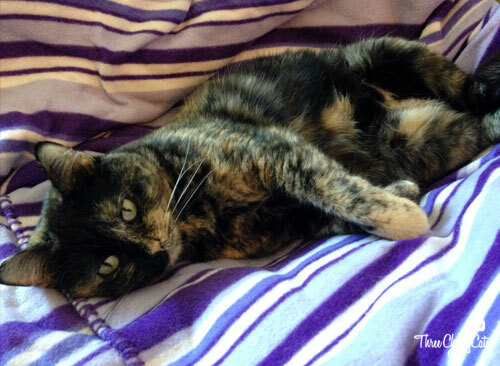 Sophie here – coming at you from my interview basket! 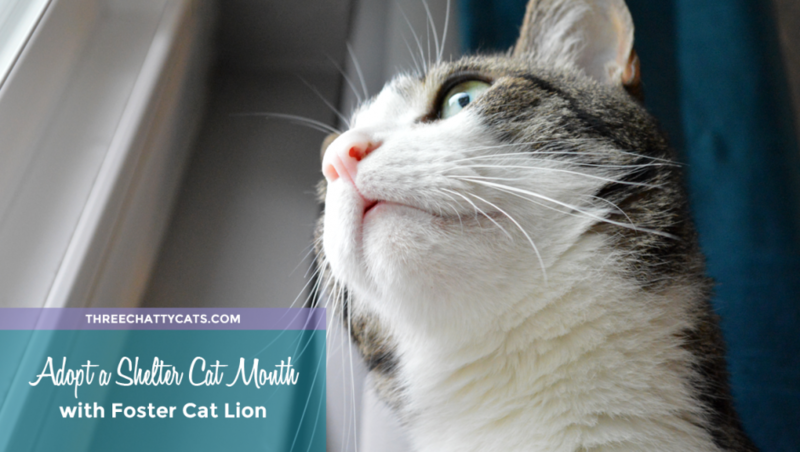 You know that when I take over the blog there’s something extra special in store for readers. And today, that something special is an interview conducted by the totally pawesome me with the totally swoon-worthy Bodie Jones from Pittsburgh, Pennsylvania. 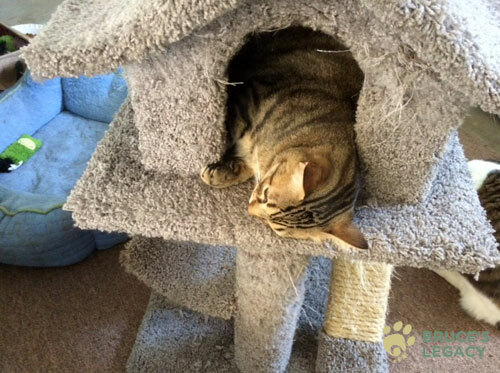 Cat rescues and sanctuaries each have their unique way of getting started. 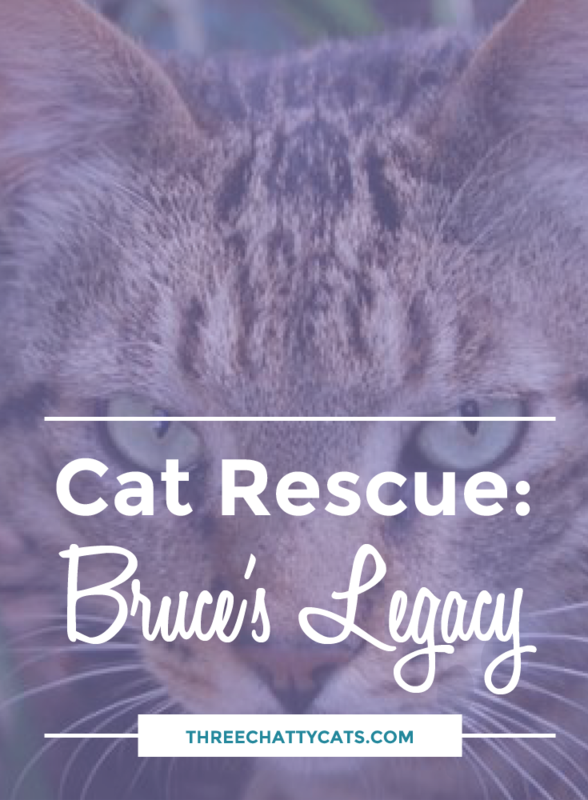 Today, we learn about a small cat rescue in Jefferson Parish, Louisiana, fittingly named Bruce’s Legacy. 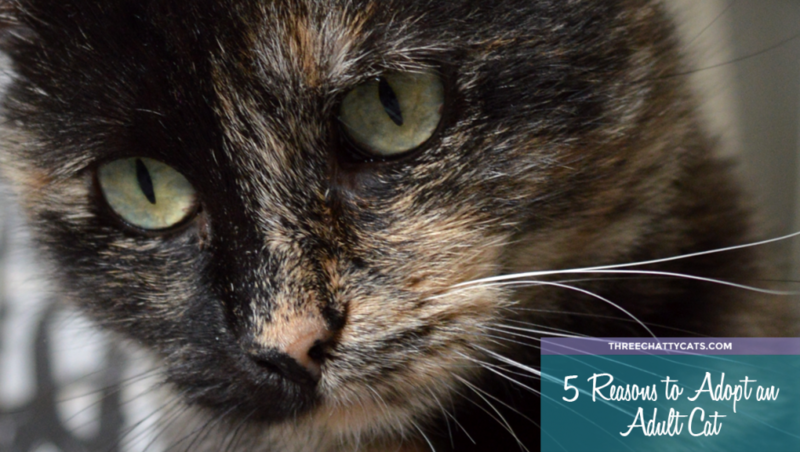 Rose Goodwine, founder and president, started the rescue in 2014 with the mission to place rescued cats and kittens into loving, permanent homes. The 501(c)3 group also wants to prevent pet overpopulation through spaying and neutering, and to educate the public about responsible pet ownership. 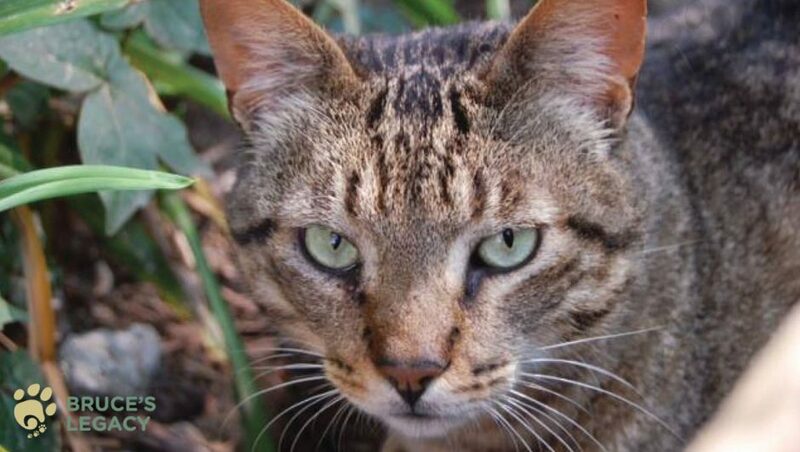 In 2005, shortly after my husband and I returned home from our Hurricane Katrina evacuation, two feral cats who had somehow survived the storm appeared on our back porch looking for food. We started to feed them and named them, although we were unable to make personal contact for quite some time. We named the brown and black tabby Bruce, and we named the orange tabby Rocky, mainly because he often showed up beaten and bruised. We also noticed that Bruce seemed to watch over and take care of Rocky, despite the obvious beatings he took from time to time. 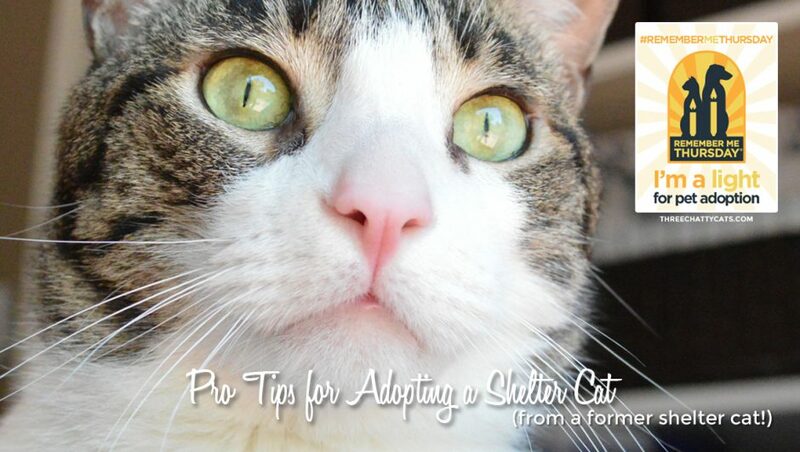 Making the decision to adopt a cat is the beginning of an exciting journey. And for each adopter, the journey is a little different. 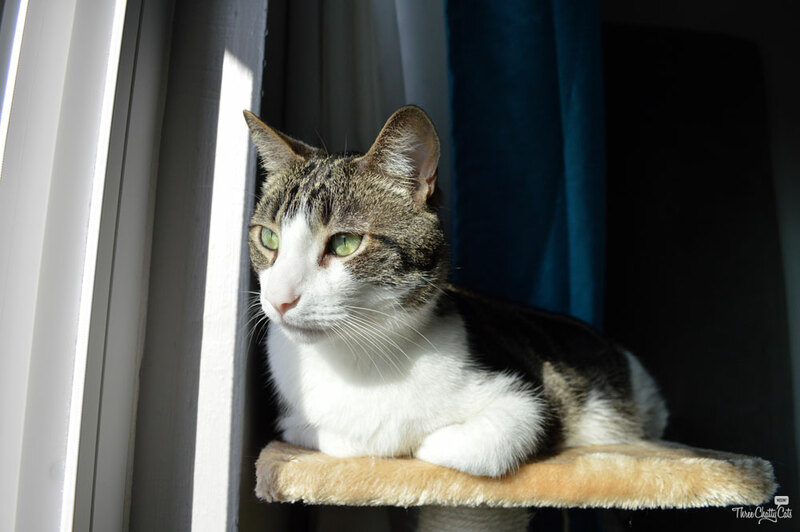 Today in our Adoption Tails Series, we will see how one adopter turned to searching online for her perfect furry friend – and searched specifically for an adult cat. 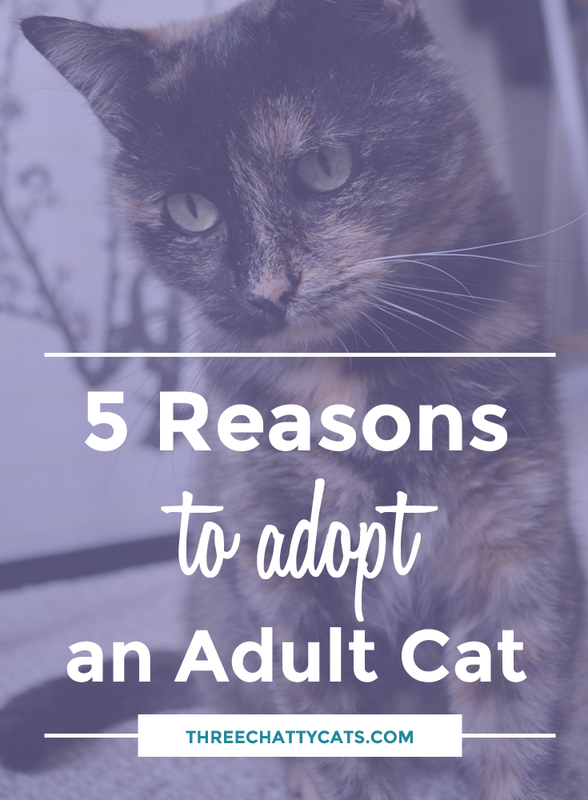 But before we get to Karen’s adoption story, here are some reasons to consider adopting an adult cat.